Ultra-thin 12inch 208W LED Work Light Bar Spot Flood Combo Truck Single Row 10"
Power: 5280W. Beam Angle: Spot (30 degree) & Flood (150 degree) Combo Beam. ★ INSTALLATION INSTRUCTIONS - With adjustable mounting bracket, the led work light bar can be adjusted to about 45 degrees with the left, right and Up, downward, which makes changing direction of light beam easier. Special vehicle(fire engine, police cars, rescue vehicle, communication vehicle, military command vehicle)forklift, trains, boat, bus, and tanks. LED Kits Troubleshooting. We are professional LED Light Bar manufacturer. Specification Power: 5040W---(781200lm) LED Quantity: 288pcs * 14W CREE high intensity LED chips Operating Voltage: DC 10-30V (Fit 12V/24V vehicle) Beam Angle: 30 degree(spot beam) & 150 degree (flood beam) combo Color Temperature: Pure White 6000-6500K Working Temperature:-40-85 degree Celsius 100% Waterproof IP68: Great water resistance ability under all conditions Material: Black Die-cast Aluminum profile,PC lens,solid bottom slip Certifications: CE, RoHS, E-Mark, ISO9002, IP68 Warranty:5 Years Package Include： 1 x 44inch 5040W Led Light Bar Combo Beam 2 X MOUNTING BRACKETS. 2019 New Design !!!! FACTORY OUTLET SUPER BRIGHT!Multiple Warehouse Shipments,IP68 Waterproof, Dustproof, Shakeproof,CE & RoHS approved!US/AU/CA multiple warehouse shipments, CA/KY/PA/IN/TN/TX/WA/AZ/FL, 2~5 working days delivery, imported led chips, IP65-IP68 Waterproof, 5 years warranty, High Power Cool White LED Work Indicator Front Light, Autofeel Brand New Genunie LED Car Light LED Headlight Bulbs: 9005 9006 9007 H4 H7 H11 H13 COB CSP 7HL S7 S8 S9 Low or High or Hi/Lo Combo Beam Bulbs Globes Halogen Xenon Replacement Fit For : Ford F-150, Chevrolet Silverado 2500 HD, Chevrolet Silverado 1500, Dodge Ram 1500, Ford F-350 Super Duty, Dodge Ram 2500, Chevrolet Silverado 3500, Dodge Ram 3500, Chevrolet Silverado 3500 HD, GMC Sierra 2500 HD, Ford F.
Beam Type: Spot beam ; Spot 30°. Certified by CE & RoHs. Specifications LED Power: 720W spot(48 15w). Apply to: Pickup, Wagon, UTB, Cab, ATV, SUV, Jeep, Truck, Boat, Bus. ★ INSTALLATION INSTRUCTIONS - With adjustable mounting bracket, the led work light bar can be adjusted to about 45 degrees with the left, right and Up, downward, which makes changing direction of light beam easier. Removable flood beam masks allow you get flood beam pattern without buying another one. • Beam pattern :Spot,Flood Comb. -Dual row LED light bar with Cross DRL. - Its gentle and arc design provide you a wider light range. Beam Angle: Spot (30 degree) & Flood (150 degree) Combo Beam. Combo beam Spot beam 30°(at the center) Flood beam 150°(on each side) Provides the perfect balance between beam distance and coverage area. Beam Type: 30 degree(spot beam)& 60 degree(flood beam) combo. LED WORK LIGHT BAR. LED HEADLIGHT. If you are looking for high quality LED Headlight & Work Light Bar, you are in the right place ! We have a factory produce variety of LED Headlight & Work Light Bar, and our products exported over the world. ■Mounting Bracket: Aluminum end brackets. LED Headlight Bulbs. ■Led Power:5040W. Can be used as work light or fog light or warning light. 1pcs Mounting Brackets. ■ Applying to difference light resource(Such HIGH LED Lamp). Input Power: 1100W 165000LM. LED type:CREE LEDs. Plug Type:Plug and Play, 9007, Hi/Low Beam. 2 x 9007 High Power LED Headlights Bulbs. 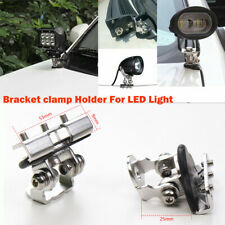 Application: Headlight Lamp Hi/Low Beam. Beam Angle: 360°. H7,H1，H16/5202LED Headlight Kit. ITEM SPECIFICATIONS 1. Power: 288W :43200LM 2. Waterproof Rate: IP68 Dustproof, Quakeproof, Anti Explosion 3. WARRANTY:5 Years 4. Number of Chips: 48pcs*3W *2PCS intense LEDs 5. Working Voltage: DC 10~30V(fit 12V/24V vehicles) 6. Color Temperature: White 6000K-6500K 7. Beam Angle: Spot (30 degree) 8. Working Temperature: -40~85 degree Celsius 9. Material: High strength aluminum space material 10. Mounting Bracket: Die cast aluminum bracket 11. Lens material: PC Lens 12. More than 50000 hours life time, Tested More Than 10000 times Before Shipping 13. Certifications: CE, RoHS, E-Mark, ISO9002, IP68 PACKAGE INCLUDE 2x 7INCH SPOT LED light bar. Specifications: Dimension: 52inch LED Power: 6720W LED quantity: 448pcs*15W LEDs Lumen:104160LM Working voltage: 10-30V DC (Fit 12V or 24V) IP rating: IP68 Color temperature: 6000K-6500K White Beam Type: 150 degree Flood 30 degree Spot Combo Beam Housing: Die-casting Aluminum Housing Mounting Bracket: Aluminum Brackets Life Span: >50000hours Warranty: 5 Years Warranty Approved: CE, ROHS, E-Mark Package: 1x Quad Row 52Inch CURVED CREE LED light bar 1x Free Wiring harness kit 1X Free Bracket. Beam Angle: 30 degree(spot beam) & 150 degree (flood beam) combo. Subversive spot & flood optic system ,high density light spread makes dark night. 1x 1170WCREE LED light bar. Suitable for all vehicles make their own LED lighting design. Specification of the 44" light bar: Led Power:5040W ,781200LM(360pcs*14W high intensity LEDs) Working Voltage:DC 10-30V(fits 12V-24V vehicles) Material:Diecast Aluminum Housing Beam:Flood Beam(150 degree) & Spot Beam(30 degree)combo Color Temperature:Pure White 6000K-6500K Working Temperature:-40-85 Degree Celsius Size:44" INCH Protection Rate:IP68;Waterproof,dustproof,quakeproof and anti-corrosive Life Span:Above 50000 hours Package Included: 1 x 5040W 44" inch LED light bar 1 x Mounting Bracket (Well packaged in carton box, reduce damage during transportation. Specifications: Dimension: 52inch LED Power: 7168W LED quantity: 448pcs*16W LEDs Lumen:1111040LM Working voltage: 10-30V DC (Fit 12V or 24V) IP rating: IP68 Color temperature: 6000K-6500K White Beam Type: 150 degree Flood 30 degree Spot Combo Beam Housing: Die-casting Aluminum Housing Mounting Bracket: Aluminum Brackets Life Span: >50000hours Warranty: 5 Years Warranty Approved: CE, ROHS, E-Mark Package: 1x Quad Row 52Inch CURVED CREE LED light bar 1x Free Wiring harness kit 1X Free Bracket. 2018 New Design !!!! FACTORY OUTLET SUPER BRIGHT!Multiple Warehouse Shipments,IP68 Waterproof, Dustproof, Shakeproof,CE & RoHS approved!US/AU/CA multiple warehouse shipments, CA/KY/PA/IN/TN/TX/WA/AZ/FL, 2~5 working days delivery, imported led chips, IP65-IP68 Waterproof, 5 years warranty, High Power Cool White LED Work Indicator Front Light, Autofeel Brand New Genunie LED Car Light LED Headlight Bulbs: 9005 9006 9007 H4 H7 H11 H13 COB CSP 7HL S7 S8 S9 Low or High or Hi/Lo Combo Beam Bulbs Globes Halogen Xenon Replacement Fit For : Ford F-150, Chevrolet Silverado 2500 HD, Chevrolet Silverado 1500, Dodge Ram 1500, Ford F-350 Super Duty, Dodge Ram 2500, Chevrolet Silverado 3500, Dodge Ram 3500, Chevrolet Silverado 3500 HD, GMC Sierra 2500 HD, Ford F.
■Beam Type :SPOT FLOOD COMBO. LED Headlight Bulbs. ■Led Power:5040W. Can be used as work light or fog light or warning light. ■ Applying to difference light resource(Such HIGH LED Lamp). ■Color Temperature: 6000K white light. Beam:30 Degree Spot beam;150° Flood Beam. 1 x 22" QUAD ROW LED Lights. LED Power:2688W/PC. LED Quantity:192pcs 14W/PC. Color Temperature: Pure White 6500K. What's In Box. Plug Style: 9005, High Beam. 2x 9005 LED headlight bulbs. Color Temperature: 3000K Yellow light, 6000K White light. Application: Headlight Bulbs With High Beam. IP68 Rain Resistant: With IP-68 waterproof level, even in harshly rainy condition, our LED bulbs can still work effectively without being impacted. Input Power: 1350W 1725. LED type: 2 Sides CREE LEDs. 2 x 9005 CREE High Power LED Headlights Bulbs. Plug Type: Plug and Play, 9005, High Beam. Super bright CREE chip,360 degree clear beam no blind zone. LED Power: 320W. lighting modes ----White /Amber /Amber&White Combo. Can be used as work light or Fog Light bar. Apply to: Pickup, Wagon, UTB, Cab, ATV, SUV, Jeep, Truck, Boat, Bus. Amber Lighting design has strong penetration in rainy and foggy weather than the mormal ones. Beam Pattem:Flood Spot combo beam. Beam Type:Spot Flood. The new design has more lights: 8 side-shooting LEDs on both sides of the fixture. ★ Great Performance - 6063 Die cast aluminum housing for strength and durability, which ensures the side shooter LED lights wide working temperature range (-40°C~85°C). Beam Type:FLOOD SPOT Combo Beam. Led Light Bar. Light Bar Brightness. Led Power:1632W. 1、 If you are looking for high quality LED Headlight & Work Light Bar, you are in the right place ! We have a factory produce variety of LED Headlight & Work Light Bar, and our products exported over the world. Flood & Spot Combo Beam. Beam Type:FLOOD SPOT Combo Beam. Reflector patterns available in Combo Beam. Applying to difference light resource(HIGH LED Lamp). Adjustable Durable Stainless Steel Mounting Brackets. Specification: LED Power: 288W LED light bar. Led Light Bar. Light Bar Brightness. Beam Type: 30 degree Spot Beam. BEAM PARTTERN: Single Spot Beam. Super Intensity SPOT (30°) LEDS, Much More Brighter. ■Mounting Bracket: Aluminum end brackets. Wiring Harness. LED Headlight Bulbs. ■Led Power:5040W. Can be used as work light or fog light or warning light. 1pcs Mounting Brackets. ■ Applying to difference light resource(Such HIGH LED Lamp). COMBO with flood lamp and spot lamp let you have a safe driving.With this light bar,dark will out of your driving life. Professional Auto Accessaries Supplier - All kinds of Led Work Lights and Headlights. LED Power: 1088W (136pcs x 8W Each high intensity LEDs). Beam: SPOT 30 Degree and Flood 60 Degree Combo. LED WORK LIGHT BAR. LED HEADLIGHT. If you are looking for high quality LED Headlight & Work Light Bar, you are in the right place ! Beam Type: Spot Flood Combo Beam. BEAM PARTTERN: Flood & Spot Combo Beam. Applying to difference light resource(HIGH LED Lamp). LED Power: 720W. LED quantity: 90pcs 8W LEDs. PLS NOTE: Without Wiring Harness Kit. Power: 6272W. ●Combo flood beam and spot beam pattern. Beam Angle: Flood Spot Combo Beam. ●Highlight LED Light Bar. LED Headlight Bulbs. ●Long LED lifespan (50,000 hours). We are professional LED Light Bar manufacturer. Beam Type: Spot Flood Combo Beam. LED Headlight Bulbs. LED Power: 2520W. LED quantity: 180pcs 14W LEDs. LED Power: 1260W. LED quantity: 90pcs 14W LEDs. BEAM PARTTERN: Flood & Spot Combo Beam. LED Power: 144W/PC. 4 out of 5 stars - 42Inch LED Light Bar Combo + 20" +4" PODS Fit UTE FORD JEEP PK 52" 50" 30" 32"
37 product ratings37 product ratings - 42Inch LED Light Bar Combo + 20" +4" PODS Fit UTE FORD JEEP PK 52" 50" 30" 32"